This is a five tier bin display. The multiple tiers allow for easy browsing and organization. 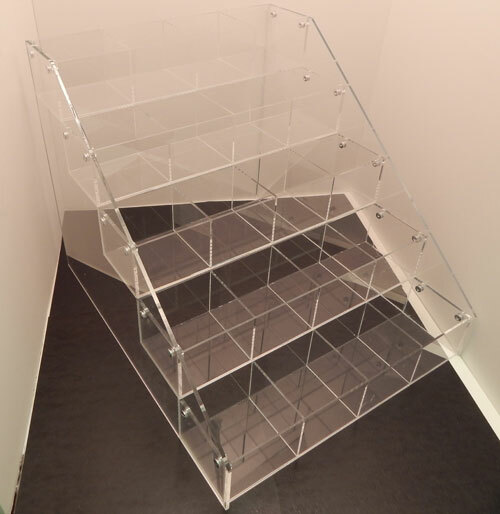 With a clear acrylic construction your customers can easily view the items contained within the bins. Each tray can be customized to contain a certain number of compartments to fit your specific needs. The materials used ion the construction of this display are high quality to ensure durability. 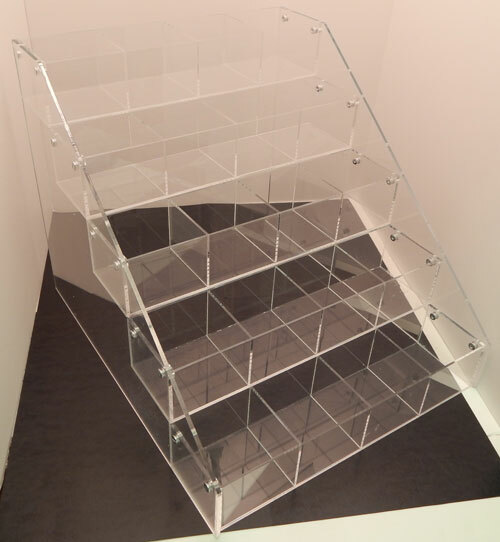 This acrylic tray rack is tiered with 4 trays, each measuring 16"w x 4"d x 3"h. The acrylic rack measures 16 1/2"w x 16"d x 12 1/2"h. Small items and accessories are nicely displayed with customizable trays. Choose from the options below.